This is a beauty with slender legs and a slender profile. 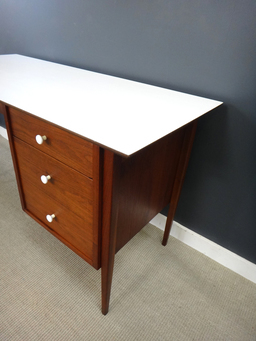 We love the contrast between the rich teak and white top and original white metal knobs. Features two drawers, including one file drawer. 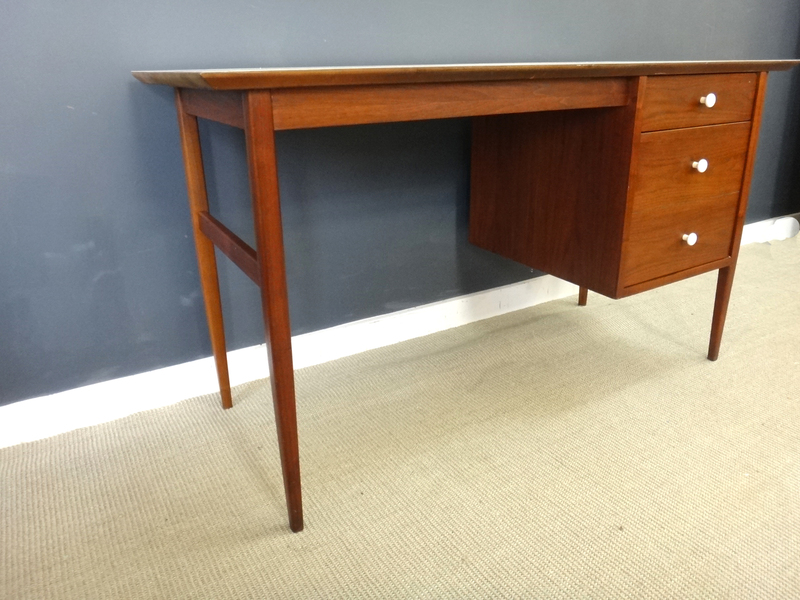 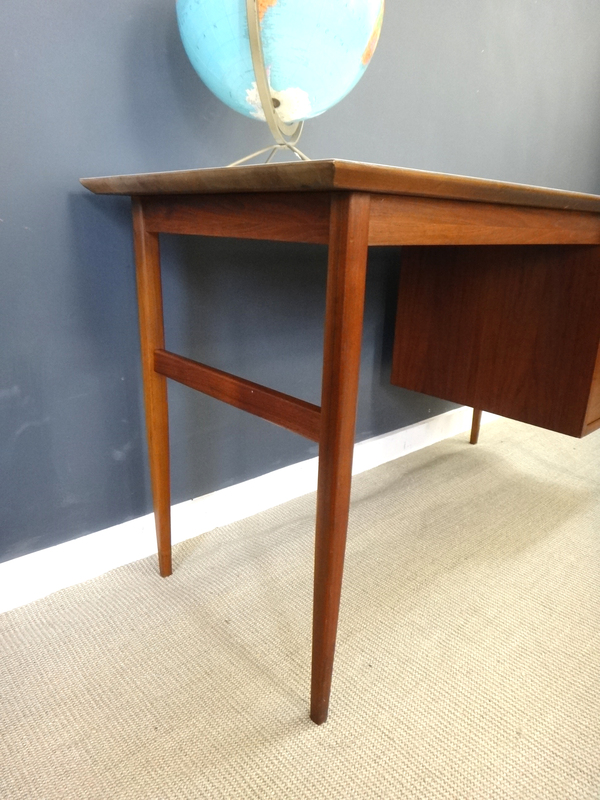 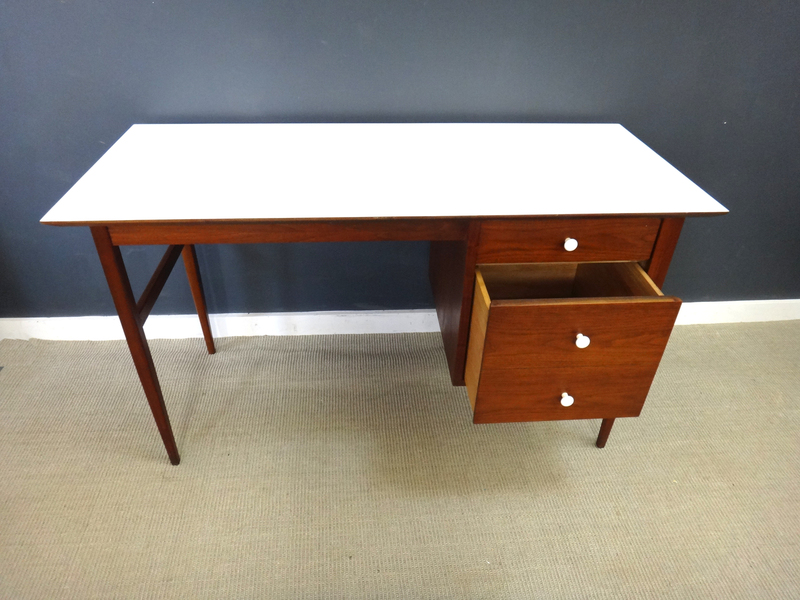 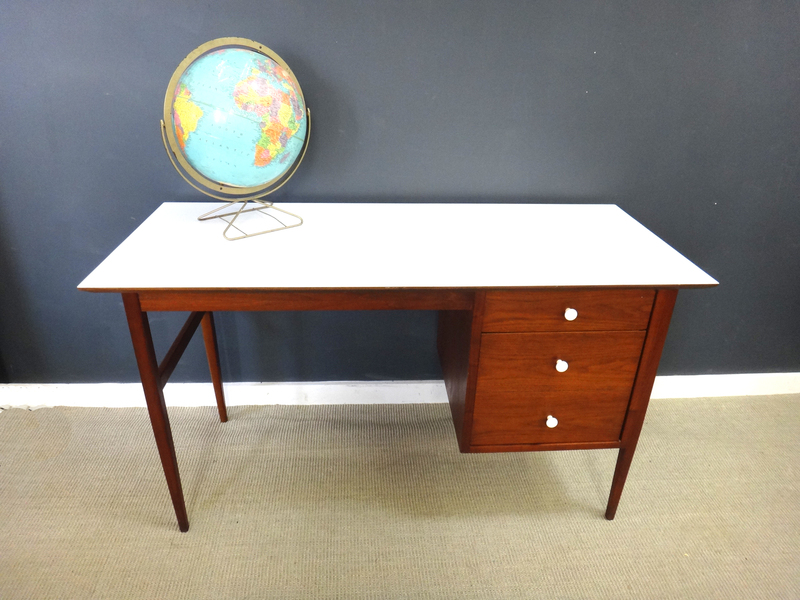 In excellent vintage condition, including the laminate top.